Ryan Power appeared in Malden District Court, where he pleaded not guilty to charges that he murdered Penny and was ordered held without bail. MALDEN — About a month ago, Malden police arrested Ryan S. Power on domestic violence charges after the mother of his two children told officers he pushed her to the ground in the Lebanon Street residence where they lived. On Wednesday, shortly before 10 a.m., police responded once again to Lebanon Street, this time arriving to find Leah Penny, 31, lying on the floor “unresponsive” near the bottom of a staircase in the home. She had a dog leash wrapped around her neck and was lying face up, authorities said. According to Middlesex District Attorney Marian T. Ryan’s office, the couple’s two children were on the second floor, unharmed. 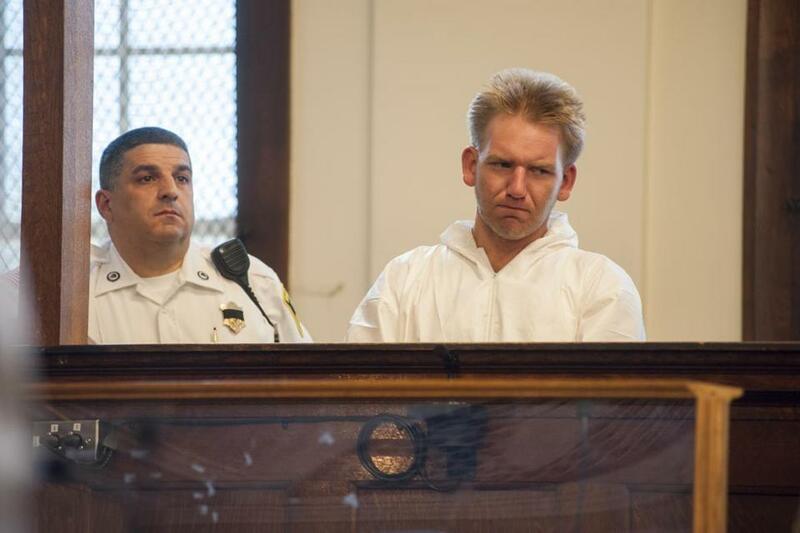 On Thursday, Power appeared in Malden District Court, where he pleaded not guilty to charges that he killed Penny; he was ordered held without bail. His head hung and his eyes were cast downward for most of the arraignment. After the May incident, Power, 32, was ordered to have no contact with Penny, records show. Penny did not obtain a restraining order, according to Ryan’s office. After allegedly killing Penny, Power fled to Seabrook, N.H., where he was taken into custody by police in connection with her death. As they sat in the yard next door, Julie and Maureen Simopoulos expressed shock at the alleged murder. They saw less of Power, who always seemed to be working, they said. According to court records, Power went to Probate and Family Court in 2015 on issues related to custody and visitation. The case was dismissed one month later, records show. During the incident on May 30, Power allegedly grabbed the couple’s two children and rushed with them over to his mother’s house, also in Malden, police wrote. The children were reunited with their mother after police arrested Power. Malden police wrote that they alerted the Department of Children and Families about the incident after Power was charged with domestic violence. John R. Ellement can be reached at ellement@globe.com. Follow him on Twitter @JREbosglobe. Emily Sweeney can be reached at esweeney@globe.com. Follow her on Twitter @emilysweeney.